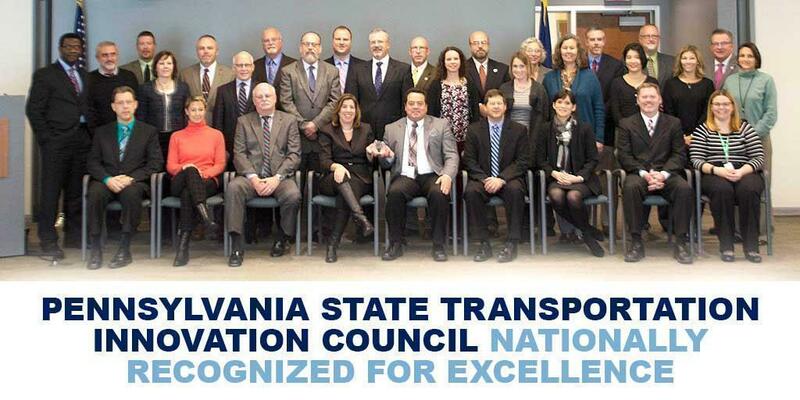 PennDOT recently received three national awards — the American Association of State Highway and Transportation Officials' (AASHTO) President's Transportation Award for Performance Excellence, an Urban and Regional Information Systems Association (URISA) Exemplary Systems in Government (ESIG) Award, and an AASHTO 2017 State Transportation Innovations Council (STIC) Excellence Award​. The AASHTO award was presented for the work of the department's Highly Automated Vehicle (HAV) Senior Leadership Team, having performed exemplary service during the year furthering PennDOT's transportation activities which have, or potentially could have, a valuable impact on transportation nationwide or on a regional basis. The team's achievements and efforts include leadership on the state Autonomous Vehicle Policy Task Force, collaboration on proposed automated vehicle policy and legislation, and continued public and stakeholder engagement through demonstrations and events. URISA awarded PennDOT with a distinguished enterprise system award for its "Maintenance-IQ" system. The award cites Maintenance-IQ as an outstanding and working example of using information systems technology in a multi-department environment as part of an integrated process. Maintenance-IQ compiles information from different systems including maintenance, inventory, condition, traffic, safety, planned projects, and environmental data into a centralized GIS repository. The internal application provides an easy-to-use interface through which staff strategically schedule and plan activities, increasing efficiency and reducing costs. URISA's ESIG Awards recognize extraordinary achievements in the use of geospatial information technology that have improved the delivery and quality of government services. The award competition is open to all public agencies at the federal, state/provincial, regional, and local levels.